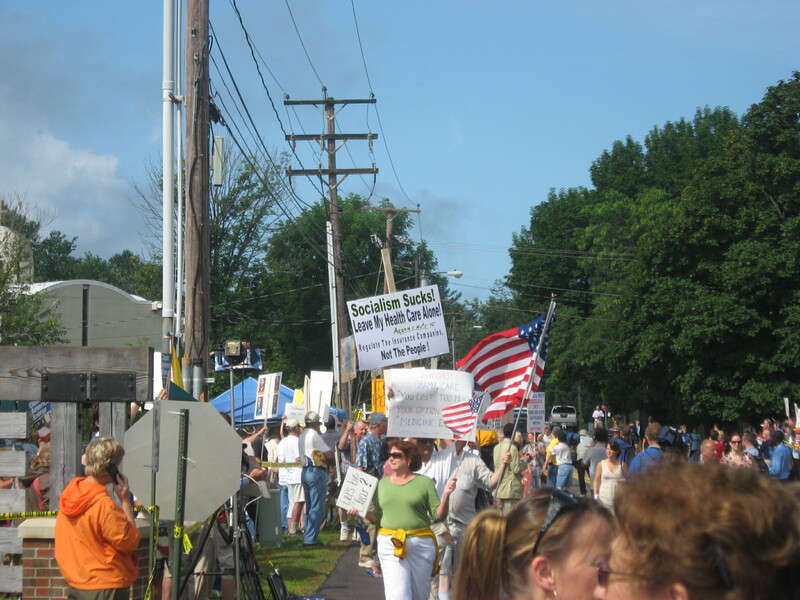 August 2009: Large crowds in Portsmouth, NH, protest outside a high school where President Obama speaks about the need for health care reform. Anyone with a pulse and an IQ exceeding room temperature can likely agree that our nation’s health care system is seriously flawed. But that’s generally where the agreement stops. That’s why I was impressed when Biddeford Mayor Alan Casavant posed a series of observations about Maine’s own raging health care debate on his Facebook page. Casavant is also a member of the Maine House of Representatives, and his comments were based on his observations during a legislative hearing about how best to address rising health care costs. “Clearly, resentment [of] the Obama plan drives a lot of these bills,” Casavant noted, referring to the federal Patient Protection and Affordable Care Act of 2009. I applaud Casavant for raising the topic, but submit that our health care system is NOT broken, it is fixed . 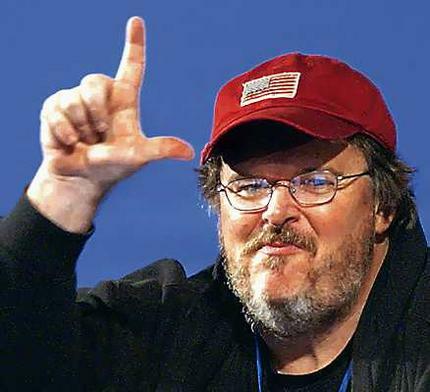 . . meaning it is rigged. Our current system is either outdated and ineffective, at best ; or it is favorably geared toward an ever shrinking pool of those who can afford to keep up with skyrocketing costs. Are you with me, so far? Good; because this is where the debate gets tricky. Before we proceed any further, we must agree to at least one basic fact, regardless of our individual political/cultural/socio-economic viewpoints. Health “care” and health “insurance” are completely different topics that are too often linked at the hip. Let’s start with health insurance. If you drive a vehicle in Maine, you are required by law to have a minimum-liability insurance policy. This law exists to protect drivers who are harmed by another driver’s neglect or carelessness. Driving, as the state of Maine tells all new drivers, is a privilege, not a right. I will take that a step further and say that health “insurance” is also not a right. 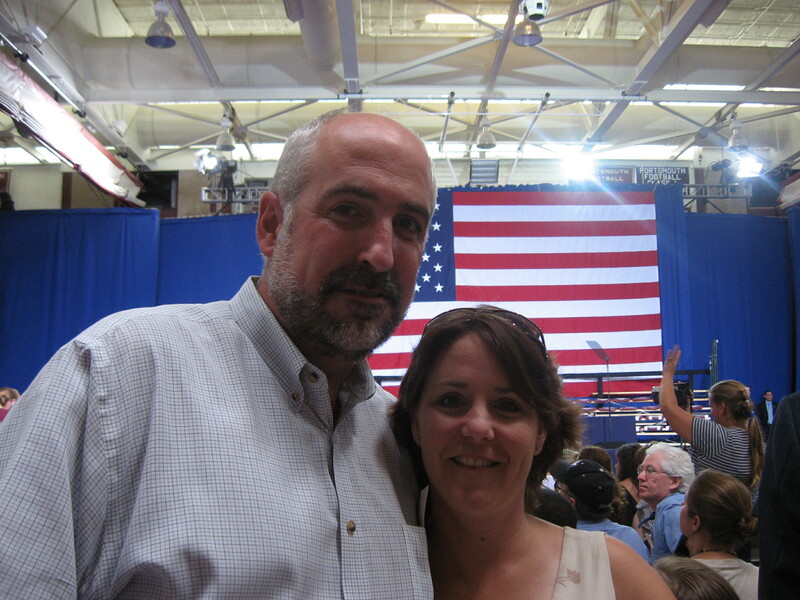 Laura and I scored tickets to see President Obama speak about the need for health care reform in 2009. Then, just as it is now, we both had reservations about the president's plan. Laura tried to ask a question, but she and many others did not get picked. The discussion about rights and expectations have only been muddied by the nation’s new health care law, which mandates individuals to purchase health insurance in the private marketplace. The so-called “individual mandate” is one of the more controversial aspects of the health care reform law signed by President Obama. That issue is scheduled to be deliberated by the U.S. Supreme Court this year. Interestingly, critics of the individual mandate can be found from both the left and right side of the political spectrum. Conservatives argue that the individual mandate further erodes personal liberty and crosses the sacrosanct line between personal choice and government mandates. On the other hand, more progressive Democrats — especially those who pined for a public option or a single-payer system of healthcare reform — describe the individual mandate as nothing more than a very big gift for evil insurance companies that stand to gain millions of new customers. But all that debate and Constitutional introspection pales in comparison to the more fiery rhetoric associated with the subject of health insurance profits. Left-leaning groups, such as ACORN and HCAN (Health Care for America Now) say that corporate, for-profit health insurance profits are skyrocketing and have quadrupled over the past few years. It’s a favorite talking point of progressive Democrats and very handy when whipping up grassroots mobilization to support the president, but it’s not entirely accurate — although rated as “mostly true” by PolitiFact, a Pulitzer Prize-winning organization established by the Tampa Bay Times to fact check political rhetoric. Meanwhile, the health insurance industry is crying poverty, saying their profit margins are among the lowest of any industry in the United States — ranging between two and four percent. Unfortunately, the inconvenient truth is that both groups are a little bit right, and a lot wrong. And that is bad news for those of us trying to navigate the turbulent waters of this complex debate. Rick Newman, chief business correspondent for US News & World Report, makes a compelling case about why health insurance companies make lousy villains, pointing out that profits are hardly the root of a much larger and complex problem. “Overall, the profit margin for health insurance companies was a modest 3.4 percent over the past year, according to data provided by Morningstar. That ranks 87th out of 215 industries and slightly above the median of 2.2 percent,” Newman reports. Despite my right-leaning, free-market beliefs, I admit to being somewhat conflicted on this issue, and that’s probably because my household is knee-deep in our own health-insurance nightmare. Laura does a good job of managing her illness, but there is no escaping that MS is a progressive illness that will never go away and only get worse over time. 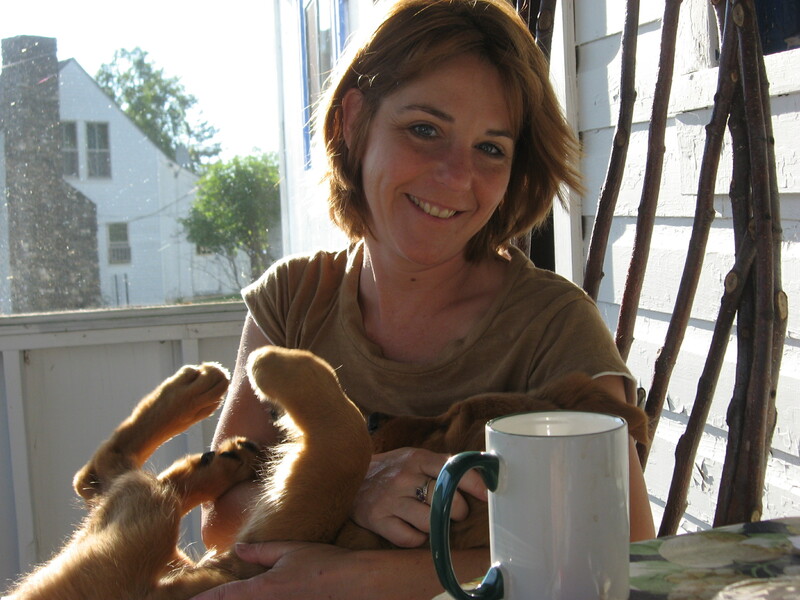 My wife, Laura, was diagnosed with multiple sclerosis just three days after Christmas in 2008. Her disease is never going to go away. It is never going into remission. It takes a little piece of her each day, even when we don’t notice it. I also have a chronic disease, one that gets a lot less sympathy than MS, cancer, epilepsy or diabetes. For more than 25 years, I bounced in and out of psychiatric hospitals all across the country, ringing up thousands of dollars in debt because I had no health insurance. Neither of us asked for our respective illness. We both work full-time. We pay our taxes, but we are also a health insurance company’s worst nightmare…we take out a lot more than we put in to the system. You are paying a portion of our health insurance. Laura is a state employee and thus, we are more than lucky to have an outstanding health insurance plan that is offered to all state employees and their immediate family members. But even if Laura lost her job, and we relied upon a more traditional (and much more expensive) private health insurance plan, you would still be paying for our health insurance. Why? Because in our current system, healthy Americans subsidize the costs of treatment for the ill. That is the fundamental core of the individual mandate: we need more young, healthy people in the system to offset the cost of treating older and sicker Americans. I am not a big fan of the individual mandate – beyond the Constitutional arguments, I think the system unfairly penalizes healthy people and will do little to drive down the costs of health care. There is a lot more to cover, but I will end this installment here and borrow Casavant’s closing observation from his Facebook post: Stalemate [on this issue] is unacceptable. Next installment: Health Care: Is it a right? You never mention how the wages and benefits of people who work in the medical field play into the overall cost of health care and by extension health insurance. Who pays these people, why private health insurance does because the government programs only pay a portion of the bill leaving the balance to be paid by the private sector. So maybe if we are going down the road of socialized medicine the Govt should take over the health care business, it couldn’t be run any worse than AMTRAK. I would like to say that a lot of these issues began with the “‘co-pay” and HMO’s (thanks Ted Kennedy)where people only had to pay a portion of their bill, well guess what nothing is free. Glen: Thanks for your comments! I penned this post late last night and have at least two more installments on this subject, one of which will focus on the care industry, which is far more bloated and ineffective than the insurance industry. Please stay tuned and keep us on our toes.